Mother may I? While the Chronicle’s knight errant, executive editor Phil Bronstein, was off battling dragons last week, his paper was busily expanding its empire here at home. The paper has apparently gobbled up the venerable Newsday: the June 8 piece about Department Defense appointments quoted in this week’s Cybervoices was reprinted June 9 in the Chron. It’s not unusual for papers to run one another’s material, but this article appears on the web with not one but two copyright notices reading ©2001 San Francisco Chronicle. Apparently, too, Newsday veteran reporter Patrick Sloyan has moved from Washington to a city west of the Rockies. If you click on his name on the Chron website, you’re served up with an email form addressed to chronfeedback@sfchronicle.com. Gloria Sandler, who doles out permissions at Newsday to reprint articles and photographs, says no, sorry, that’s not a customary practice among newspapers. Who’s watching the watchers? The ad that appears to the left here ran recently in at least one San Francisco neighborhood paper, announcing the advent of a new political website. Fronted by Usual Suspects webhost Alex Clemens, comedian Will Durst, and SF Politics host Arthur Bruzzione, sfvoterwatch.com was — the site says — “developed by some of San Francisco’s most experienced Board watchers and supported by community and business organizations” to allow ordinary folks to track the way their supervisor votes. Funny, I thought Pat Murphy’s San Francisco Sentinel was already doing that. Guess it all depends on who’s footing the bill. 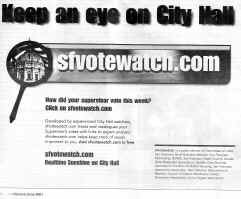 sfvotewatch is brought to you courtesy of the Committee on Jobs, Golden Gate Restaurant Association, San Francisco Association of Realtors, and a host of other business-oriented organizations. You’ll notice, on its extensive links page, that neither the Sentinel nor the Call is listed. Standing room only. Somebody sure works in mysterious ways when it comes to our city government. Gavin Newsom, who has long expressed in Single Room Occupancy hotels, chairs the supes Audit, Labor, & Government Efficiency Committee. Chris Daly, who represents prime SRO territory in District 6, is vice chair. The two called a special hearing for last Tuesday, to be held at the Seneca Hotel on 6th Street, to discuss visitor policies in these hotels, the need for sprinkler systems, and other related issues. But the Independent, the paper assigned to announce such events, dropped the ball. Under the Sunshine Ordinance, no announcement, no hearing. But through the miracle of cyberspace, the guests had all been invited. So the supes went anyway and spent several hours listening to a parade of unhappy SOMA residents. 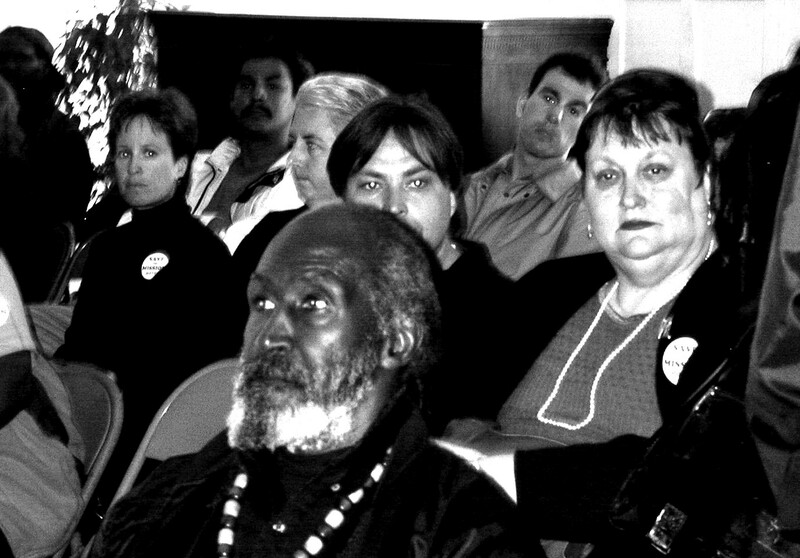 The Examiner gratuitously announced recently that many of the Seneca’s residents are parolees and — by implication — involved with drugs and prison disputes, but the people who spoke there on Tuesday were more concerned about the possibility that another SRO, the Mission Hotel on South Van Ness, was about to lose its funding and would soon be forced to close. Under Sunshine restrictions, two supervisors are not supposed to hold court together in an unannounced meeting. 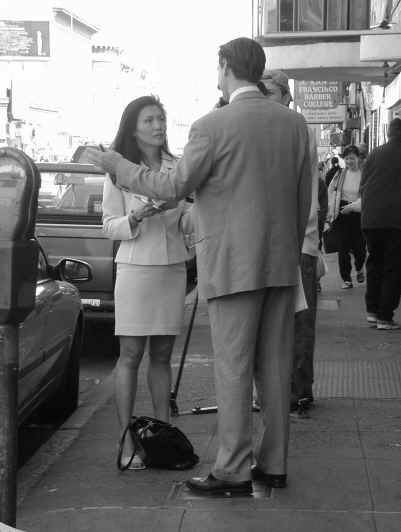 These two ostensibly ignored each other’s presence, alternately sitting at the table in front and wandering about the room, although Newsom found time to stroll outside with an enterprising TV reporter. An official, properly announced meeting of the Audit, Labor, & Government Efficiency Committee was scheduled for 9:30 on Monday, June 18, to discuss the same issues. The same folks are bound to turn out, but you can bet it won’t be half as much fun.